A comprehensive error correcting patch focusing primarily on object\item placement. Updated the Form Version to 43. A rock has been used to cover a gap in Dead Drop Falls. A rock has been added to cover a hole in the terrain in Nchuand-Zel Excavation Site. Another rock has been added to cover a hole in the terrain in Nchuand-Zel Excavation Site. The header tag has been changed to ESM so the patch can loaded high in the load order. A rock has been added to cover a gap in the terrain in the Reach. A few burning embers that were clipping through the bowl have fixed in Ruunvald Excavation. A barrel which did not have a proper ownership flag was fixed at Falkreath Sons Military Camp. A "treethicketsnow" plant near hegen which was too high above ground was repositioned properly. Another "treethicketsnow" plant near helgen which was too high above ground was repositioned properly. The fixes that were done to packages, factions and explosions have been removed. Even though at the worst those fixes were not hurting anything, they were providing little to no actual benefit anyway. A comprehensive error correcting patch focusing almost entirely on object\item placement that fixes thousands of errors relating to misplaced objects. 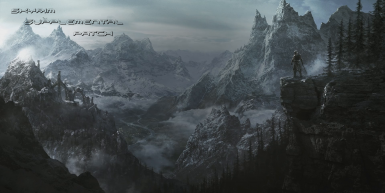 This patch has taken years to compile, and with the end of the Unofficial Skyrim Legendary Edition Patch now here, I thought it would be appropriate to offer the community this auxiliary Skyrim patch. This patch is meant to be used in conjunction with the USLEEP patch, though it does not require USLEEP. This patch can be considered to have an emphasis almost entirely on Item and Object placement, although there are other errors that are corrected beyond just object placement, however object placement is the primary focus of this patch. The Unofficial Skyrim Legendary Edition Patch does an amazing job at fixing misplaced items, objects, and various other errors, but despite its massive scope it is impossible to fix everything, and there are still seemingly endless errors still in need of fixing. Hence why this patch was created, and every fix in this patch is a fix not already addressed by USLEEP making it perfect to go along side it. The primary focus of the Skyrim Supplemental Patch is to correct objects and items that are misplaced﻿ or positioned poorly. It also fixes related issues such as 'holes' in the world, and gaps in terrain and the like, correcting countless such instances that still remain. The Skyrim Supplemental Patch also fixes small placement errors like those found in many light sources such as burning embers, candles and lanterns. If looked at closely, thousands of these light sources are haphazardly placed, resulting in such anomalies as floating burning embers, and embers clipping through the bowl it is supposed to be in, and floating/clipping candles, lanterns and the like. The Skyrim Supplemental Patch painstakingly fixes virtually all of these misplaced objects in the game world. Exploring various dungeons and caves in the Skyrim World will show in many instances the numerous problems that still remain, such as walls and floors connected to the wrong roombound rendering them invisible, or open gaps that still remain where one can peer through the fabric of the world. The Skyrim Supplemental Patch fixes these numerous occurrences that still remain, correcting roombound association and properly blocking up holes. Other fixes that some may consider minute are also addressed in the Skyrim Supplemental Patch, such as the problem with many of the benches located in the world. There are countless benches and chairs in the dungeons and interiors of Skyrim that have been positioned without testing their placement. When actually sat upon, the players head in countless instances becomes sucked into the wall, providing a view into the nether world and freezing all camera movement until standing up. These benches and chairs (numbering in the hundreds at least) have all been carefully re-positioned so they can now be properly sat upon. In addition, ANY object or item that could reasonably be considered to be out of place, or clipping through another object has been fixed, with too many such instances occurring to be listed here. As has been stated, this mod has taken years to create, and an exact itemized list of each and every fix has not been made and is not available yet at this time. If you must have a list of every fix that is implemented in this patch than you will need to open it in TesEdit and look for yourself. The scope of the Skyrim Supplemental Patch goes beyond just object placement issues however. For instance, errors related to such things as item ownership which have not yet been fixed are also corrected. Similarly, related issues such as proper door ownership and reference data have also been corrected which will benefit users of other mods such as 'Simply Knock' users. Those who use the great mod by Chesko 'Simply Knock' will receive added benefits from errors fixed in the Skyrim Supplemental Patch. Those who use Simply Knock will know that some doors, like all of the doors in Skaal Village and some doors in places like Rorikstead that when tried to be knocked upon don't work. With the Skyrim Supplemental Patch installed, now all of these doors will behave properly and can now be knocked upon with Simply Knock. Other small fixes, such as errors related to packages, factions, and AI data are also implemented. One may notice for instance that whenever a thief is encountered upon the road who tries to rob the player, he apparently has absolutely no concern whatsoever for his or her own safety or well being, and is willing to throw his life away at any time for the chance at a few gold coins. 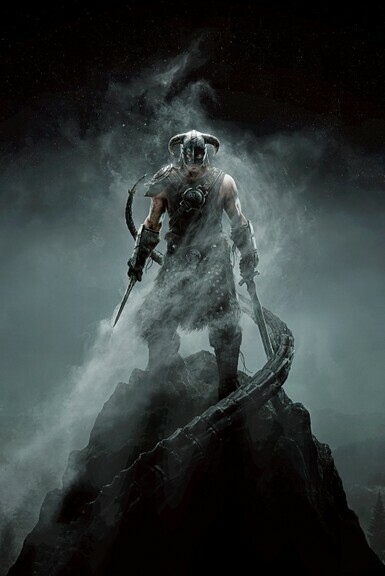 In other words, the intimidate option never works, but with the fixes implemented to the correct AI references in the Skyrim Supplemental Patch, now the encountered thieves will behave properly and can be properly intimidated if the player possesses the high enough intimidate factors. These are examples of some of the additional fixes that are implemented in this mod, and barring a complete list should provide the user with an accurate idea of what to expect. Since the Skyrim Supplemental Patch for the most part only touches vanilla records, it should be compatible with every other mod. I am not yet aware of any mod that would conflict. Therefor it should be safe to use this patch along with any other mod setup. If you do not know where this goes in your load order, I would suggest placing it as high as possible in your load order.